Iskaka is a small village in the Salfit area of occupied Palestine. Since it sits right next to the so-called “Ariel Finger” [an illegal Israeli settler colony block, in parts surrounded by the Apartheid Wall, that cuts deeply into the West Bank and is meant to A) steal even more Palestinian land; B) cut off the West Bank in several parts, making movement and organising resistance against the occupation difficult], IWPS visited the village to record their current situation. The village mayor first highlighted the shortage of water. There are many springs around the village, but with rather limited water capacity. Illegal Israeli settler colonists use these springs in the summer, when water levels for the villagers of Iskaka are lowest. When villagers put up a fence to protect their drinking water spring, settlers destroyed it. Buying water (inevitably from Israeli occupation companies) is too expensive. Another big problem for Iskaka are the wild pigs. It is thought there are probably thousands of them in the area; they destroy crops and scare people at night. Since Palestinians would risk arrest for shooting the pigs, and the fences needed for protection are too expensive, many of the people in the village have been forced to abandon growing crops and vegetables. If they put up fences for the pigs, illegal settlers come and destroy them. At one point the Israeli colonists introduced deer in the area to destroy Palestinians’ olive trees, but the villagers managed to get control of that situation. 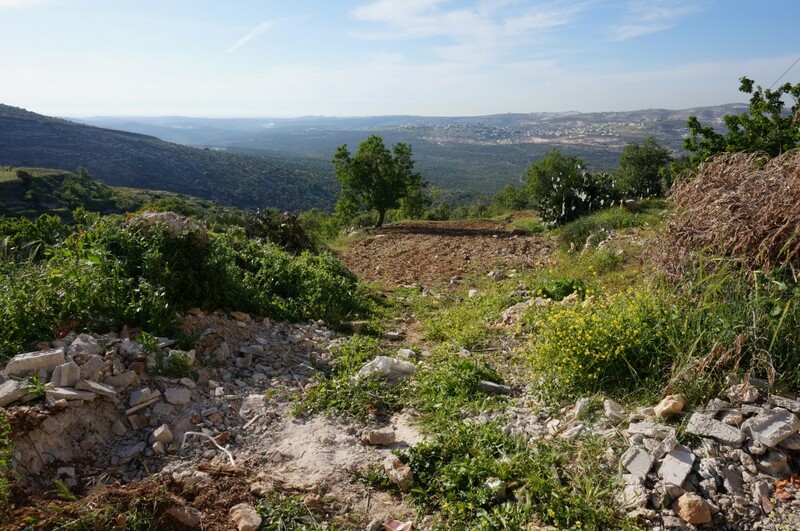 The illegal settler colonies around Iskaka (namely Ariel, Kfar Tappuah and Rechalim) are expanding and the Palestinians are ordered to keep 1km distance to the fences surrounding it. Today Iskaka is surrounded by three settlements and the village is now in Area B; this means that the Israeli army close the road to the village, often for hours, creating problems for people going to work or hospital. The last two or three months the Israeli army have been passing through the village every night and sometimes they knock on people’s doors just to show their presence. The mayor told us about Israeli soldiers who were throwing tear gas canisters into schools in Salfit (neighbouring city); until now, Iskaka’s school has been spared from such attacks. 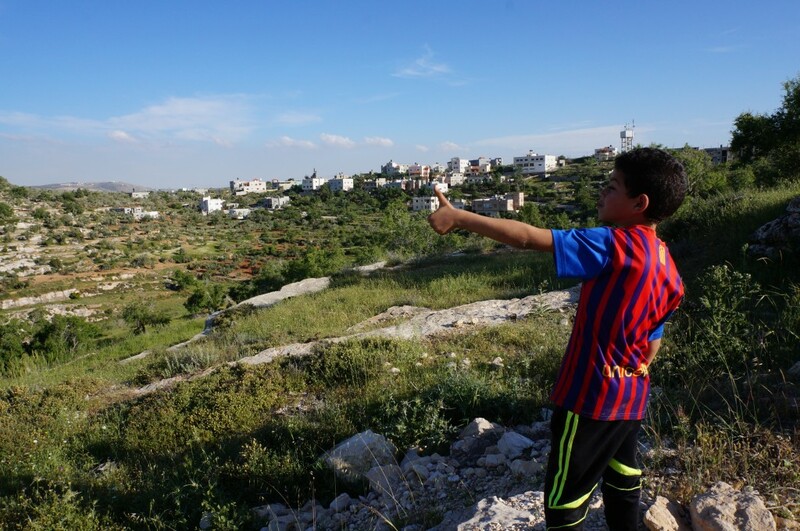 He also told us about how settlers from the illegal Israeli colony of Kfar Tappuah harass people in the neighbouring Palestinian village of Yasuf (they attack unarmed villagers physically, throw stones at cars and damage crops), but that Iskaka has also been spared from this so far. “They are trying to complicate our lives in all ways,” he said. “But we will not leave, this is our home”. The view from Iskaka, with the illegal settler colony of Ariel in the background.